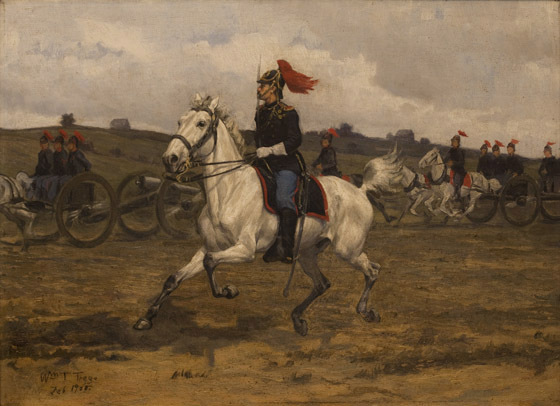 The lieutenant galloping alongside his rapidly moving artillery battery is wearing the uniform used by United States horse artillery forces in the 1880s. Somewhat oddly, the horses all seem to be floating above the ground. This was Trego’s last documented military history work. Though painted in early 1900, it was still in his studio, unsold, late in 1901. This is one of only three known instances where Trego included the month with the year when dating his work.